“I’m certainly thinking about it. I think there’s a good chance we’ll have to do that,” the president told reporters during an extended pool spray of a meeting on human trafficking. While stopping short of saying he’s made the decision, he suggested he might reveal more during his State of the Union address on Tuesday. “We’re in a very strong legal standing — we are doing it regardless. We haven’t declared the national emergency yet and yet we’re building a lot of wall,” Trump said. The president’s pessimistic take on the prospects for congressional negotiators to come up with a deal represents a dramatic shift from the tone he struck just a week ago, in announcing the government would reopen for a period of three weeks to allow time for congressional negotiators to craft a deal. “Over the next 21 days, I expect that both Democrats and Republicans will operate in good faith. 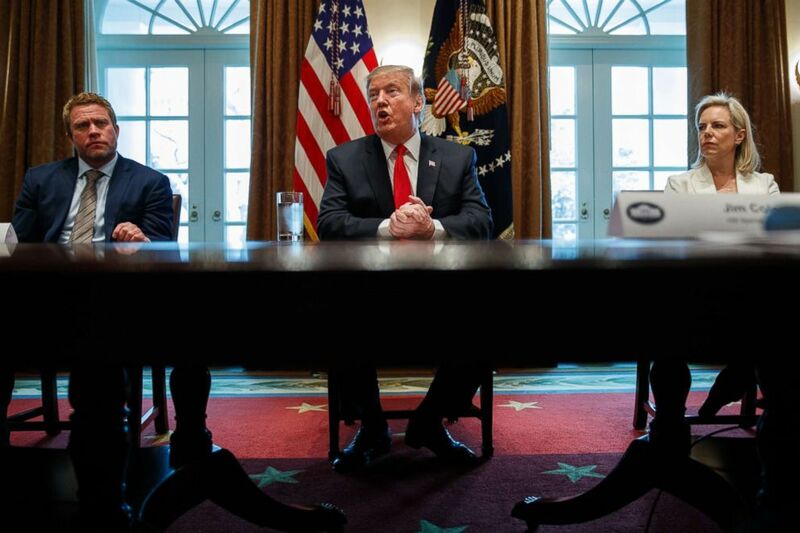 This is an opportunity for all parties to work together for the benefit of our whole beautiful, wonderful nation,” Trump said in remarks in the Rose Garden last Friday, announcing the end of a 35-day partial government shutdown. “It’s very hard to do human trafficking through ports of entry because you have people standing there saying hey what’s going on in the backseat, what’s going on in the trunk. They check these things. So they come into areas where you don’t have the barriers,” Trump said. ABC’s Quinn Owen contributed reporting.